The ServiceWorld Group is privileged to manage the Yip Cheong Fun Heritage Gallery Restaurant. Besides maintaining high standards of food quality and service, the Group hopes to promote photography and enhance awareness of the role of photography as an art form and a scientific tool to depict and record the changes in our cultural and social environment. The late Mr Yip Cheong Fun is of world renown as a documentary photographer and a seascape specialist. The Legacy of the huge collection of the creative works of this Master Lensman will be an inspiration to young photographers in the world. We specialise in both traditional local, Chinese and Western dishes at the Restaurant. Call in advance if you wish to be served by chefs for Philippines and Indian Curry Dishes. ServiceWorld is not just well known for its photo galleries and hostels. In the Seventies, at the Ministry of Social Affairs and at Dempsey Road, our food outlets served the best Indian curry of Tank Road fame. We no longer run the Kapalaran Centre at Chin Swee Road, but we still serve delicious Filipino food at the Yip Cheong Fun Heritage Gallery Restaurant. A) Dine In & Take Out. If your office is in Chinatown, please call us before 11a.m to place your order for food delivery (minimum order for 10 persons). B) Bring any postcard of the Gallery obtained after a visit to view the Gallery or any receipt of purchase of any of our photographs at any museums or galleries in Singapore, you will receive a discount of 10% for meals, or purchase of our photographs, books, garments and gift items. 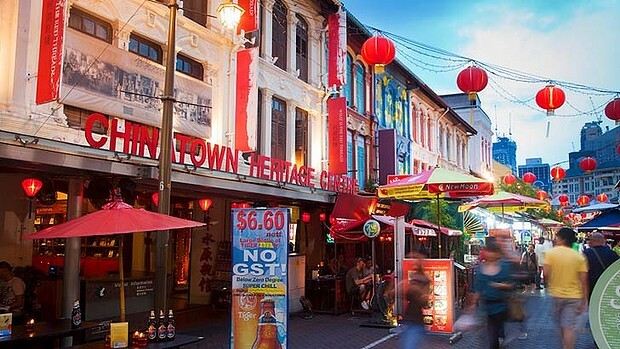 C) Call us for group dine and talk on the Legacy of Yip Cheong Fun or a historical account of Chinatown. If you are a tourist group, please call in through your tour representative for a group meal and talk at a pre-arranged activity. The talk will be delivered by Andrew Yip, Author, Poet, Psychologist, University Administrator and Consultant. When you meet this Guru of Singapore Heritage fame, and former Director of Planning of Singapore, buy one of the many books written by him and get his autograph in Chinese calligraphy.